A study on the Scalper. What it is and how to combat these vile creatures. 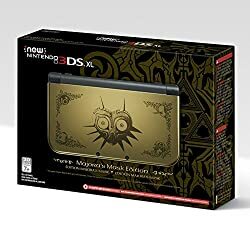 Nintendo - New 3DS XL Legend of Zelda: Majora's Mask Limited Edition - Gold/Black Here we can see the infamous Scalper in its native habitat. It is quite a horrid creature. It is quite similar to that of the homosapiens. That is because this thing you see before you is in fact an evolution (or de-evolution in this case.). These beasts were in fact human at a time but that time has long gone. Now all that is left is an empty shell with only greed filling its will to live on. Anyways, lets get on to further studying this horrendous creature.